Just discovered that my left valve cover gasket was leaking and probably had done so for a while. Tried last year to seal with Permatex sealant but that did not help, still seeping from back lower corner and dripping on to exhaust manifold which generates burnt oil fumes. 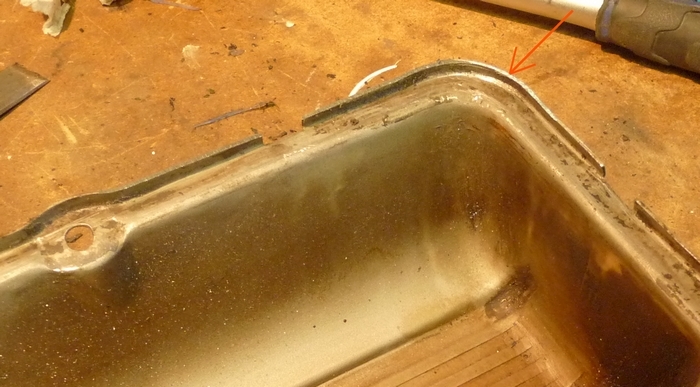 It just got removing the old gasket now almost impossible…. 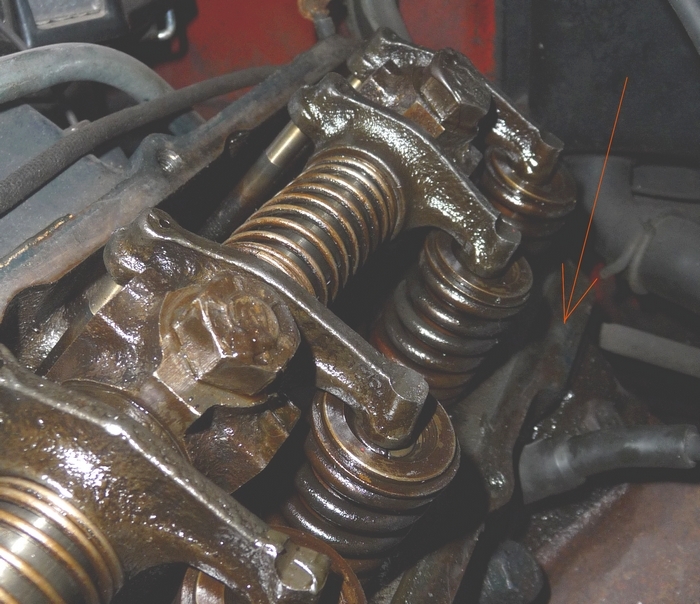 When studying this closely I noticed that all gaskets I have from several suppliers all seems to be a little thin to fill out the space in the valve cover and then the legde on the rear bottom side of the head prevents the gasket to seal. See arrow in picture below. 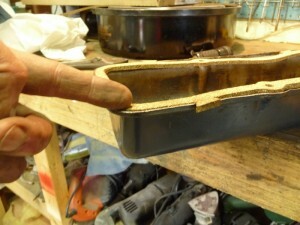 To get around this I removed by grinding approx 1mm of the valve cover folded edge between the notches. See arrow in picture below. After a short testrun it was not dripping as before, but I will have to keep this under observation during the next cruises to see if it holds. Above is the final look now you can see that the gasket is a bit thicker than the edge of the valve cover and therefore is able to seal better.